Hi all - it's Mona, again. Hope everyone is doing well! 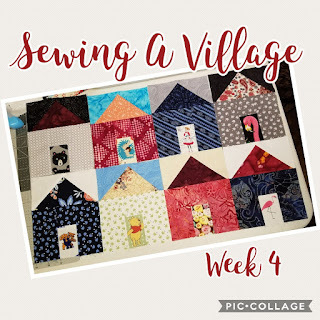 Wanted to give you an update on my Sewing a Village Quilt. 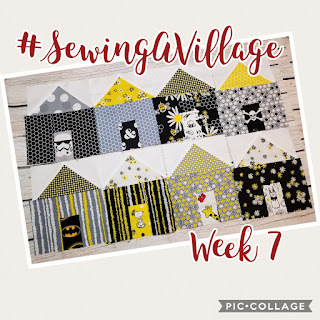 I had posted earlier that I was participating in the Sewing a Village Sew-along. (You can purchase a copy of the pattern here.) 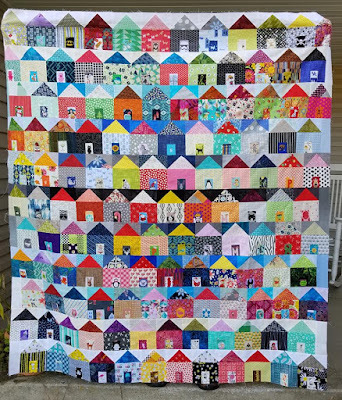 This past weekend, I was able to sew all of the houses together and finish my quilt top! I'm undecided still as to what kind of border I want, but I was so happy with how this turned out that I wanted to go ahead and share. You can see all of the weekly pictures on my Instagram page. This is such a fun pattern. If you ever have an opportunity to make one, I really recommend it. 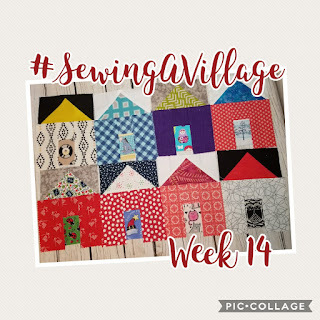 It can seem overwhelming to see that you have to make 130+ houses, but when you break it down to 8 a week, it is very do-able! The pattern uses charm packs, or you can use scrap fabrics, too. 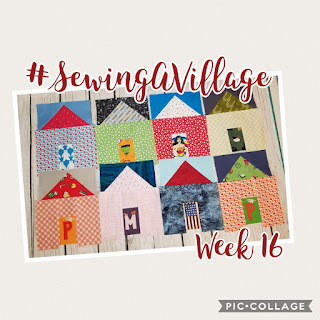 You can purchase You can purchase a copy of the Sewing a Village pattern here. 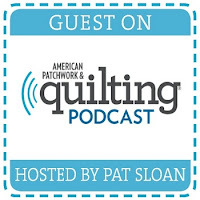 Need fabric for the quilt? You can get charm packs from The Fat Quarter Shop. You can also find some charm packs on sale here. Thank you for visiting today. 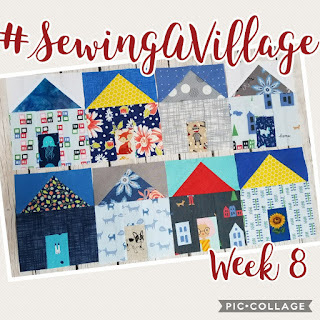 Until next time - blessings & peace - and happy crafting!